Filming at sea is incredibly complex and challenging because there are so many different factors to consider; we excel at applying our knowledge and experience to each shoot or film to give the greatest chance of success. 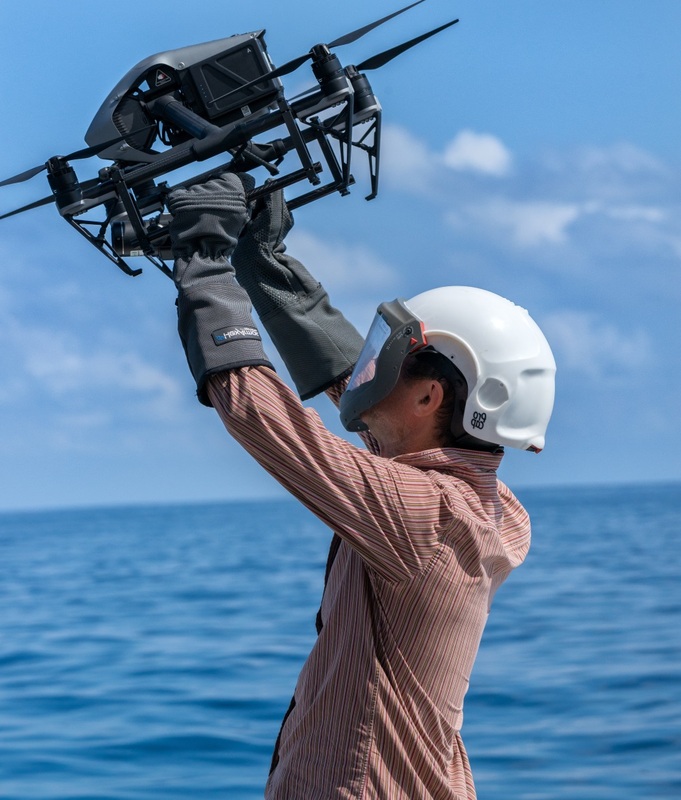 The ocean is a treasure trove of new stories and recent kit developments are opening up exciting opportunities for telling previously un-filmable stories. We are constantly developing new oceanic stories from around the world and we also know creative ways to re-tell more familiar stories with a fresh perspective. With our extensive global network we are connected to the people on the ground who are regularly unearthing new stories, plus we hear about unexpected events as they arise and can react quickly to these opportunities. We have an excellent relationship with many of the best cameramen around the world so we can put together the optimum team for any shoot, combining locally based people – who bring their crucial knowledge – with the very best camera talent. We are pioneers at developing kit for underwater filming. 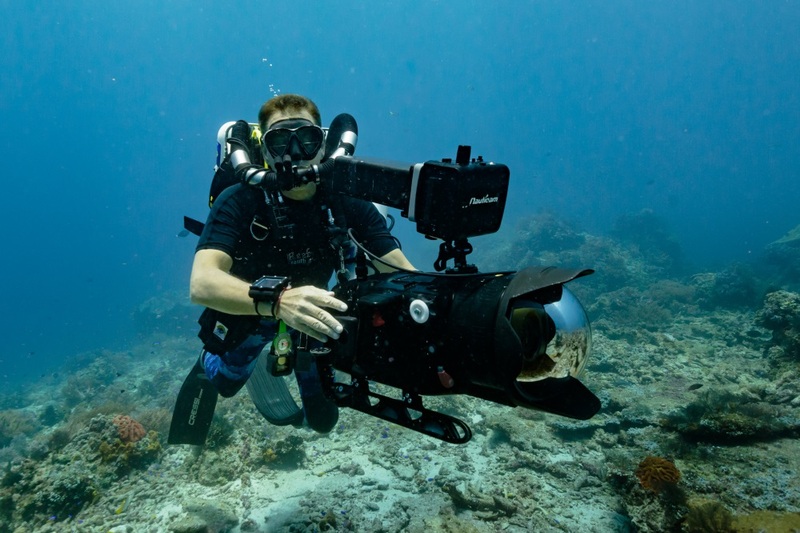 Our main underwater housings are designed to ensure maximum functionality and image quality; we create bespoke polecams, ‘split level rigs’ and underwater grip to add a dynamic element to underwater photography. We prefer to use ambient lighting where possible but also use a variety of lighting rigs for day and night filming. 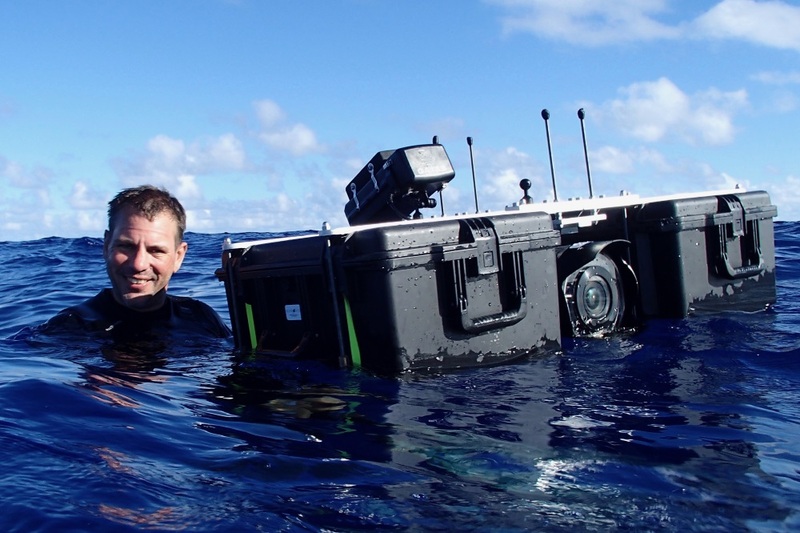 Often filming above the waves is just as challenging as filming underwater. 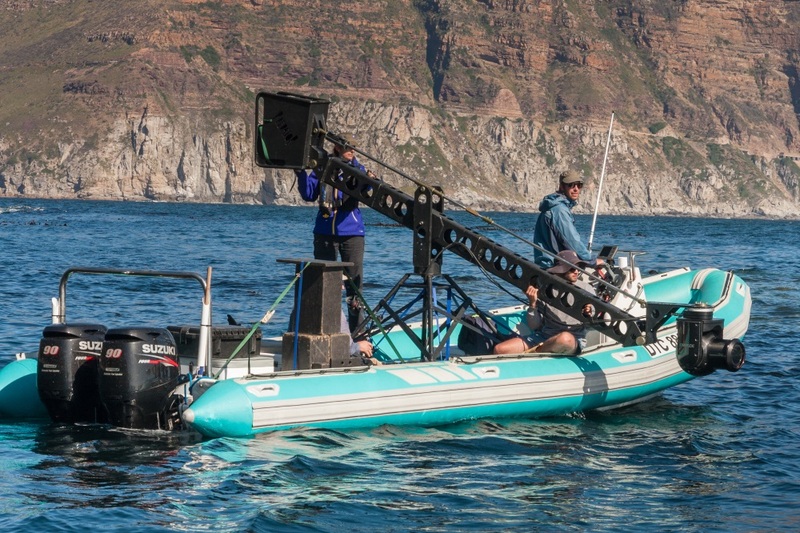 Gyrostabilised systems such as Cineflex are revolutionising filming at sea but mounting them to boats using a variety of jibs is often the biggest challenge. Other stabilising gear like the Ronin and Movi also help, especially filming presenters or contributors. Drones are revolutionising ocean aerial filming. Their potential is extremely exciting and we have been developing the techniques needed to get the best results from drones at sea. Gyrostabilised systems like the Cineflex, Shotover and GSS mounted on helicopters still offer opportunities where drone can’t deliver. And using spotter planes to find wildlife at sea can often save time and ultimately money – eyes in the sky work. Filming in aquariums can be a great way to augment filming at sea for small animals, but getting the right aquarium setup and keeping the animals happy are vital, as are the camera and lighting techniques you use. We use SCUBA, rebreathers and free diving depending on the situation. We work with presenters and contributors, filming them above and underwater with full-face masks. Underwater comms are vital for more complex shoots with presenters or when using complicated grip or lighting rigs. Each job has it’s own unique requirement but for every one getting the very best boat and skipper is absolutely vital to the success of the shoot. Intel on location can make the difference between success and failure at sea and we put great stall in local knowledge. 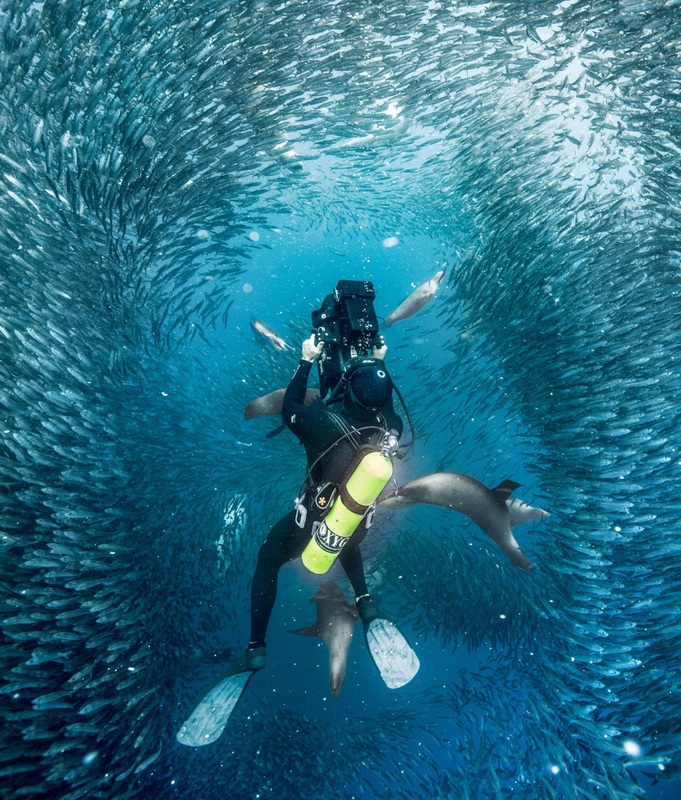 Skippers, divers, scientists, fishermen, pilots – all can be vital to a shoot. Using the online data tools such as SST (sea surface temperatures), chlorophyll and wind/weather help shoots to target the right areas, at the right time. At sea there are more factors to consider than land based filming when deciding on the optimum time – and duration – of a shoot. What is the best time of day, season, year? When is the ideal weather (wind and cloud) and moon phase? And crucially for underwater, when is the best visibility? 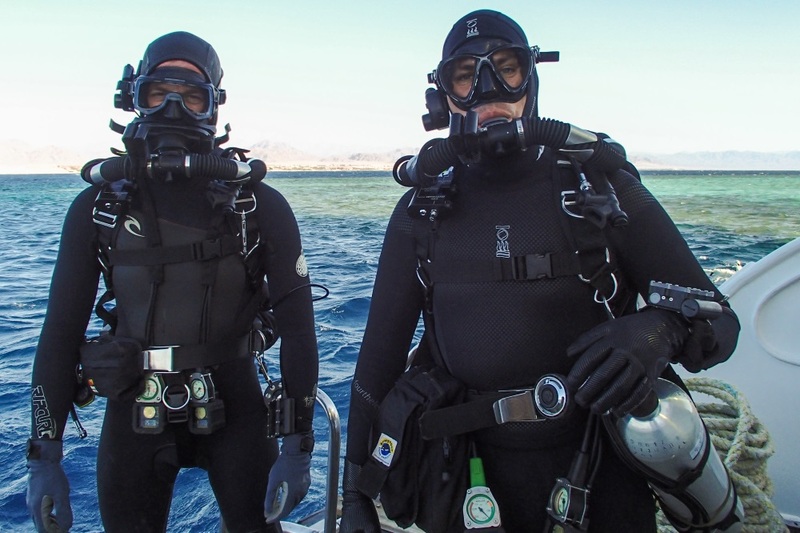 Hugh ran diving operations for the BBC Natural History Unit and then Silverback Films for many years and has a thorough knowledge of all the safety and legal aspects of diving. We can write diving risk assessments and advise on legal and insurance issues.